Upon receiving the hill-start assist control operating signal from the skid control ECU, the relay contact turns on and the stop light comes on. 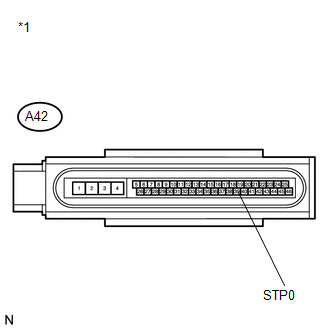 When the voltage at the IG1 terminal is between 10 and 14 V and the stop light control relay drive output (STP0) is ON, a signal has not been input to the STP terminal for 5 seconds or more. 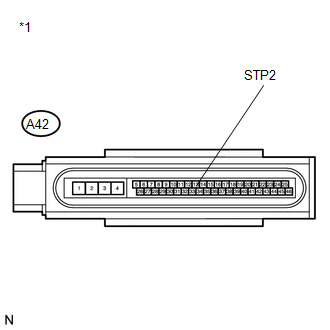 When the voltage at the IG1 terminal is between 10 and 14 V and the stop light control relay drive output (STP0) is OFF, the signal at the STP is different from the input signal at the STP2 for 5 seconds or more. Refer to DTC C1249/49 (See page ). When DTC C1249/49 is output together with DTC C1380/64, inspect and repair the trouble areas indicated by DTC C1249/49 first (See page ). (d) Check that the stop light switch condition observed on the Techstream changes according to brake pedal operation. (a) Select the Data List on the Techstream (See page ). (b) Select the Active Test on the Techstream (See page ). 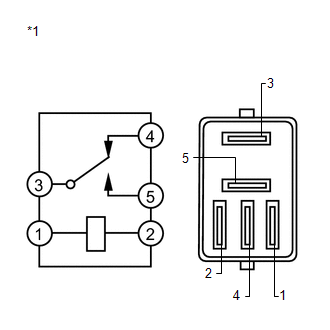 (c) Perform the Active Test of the stop light control (BRK) relay using the Techstream. (d) Check for stop light control (BRK) relay operation using Data List and stop light operation by performing an Active Test. (c) Disconnect the skid control ECU connector. 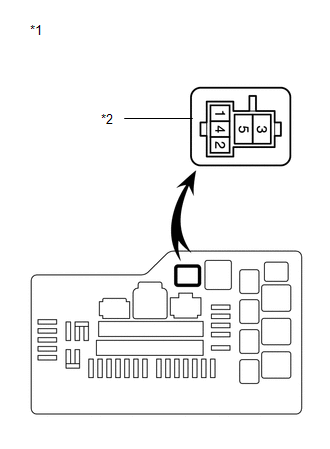 (a) Install the stop light control (BRK) relay.